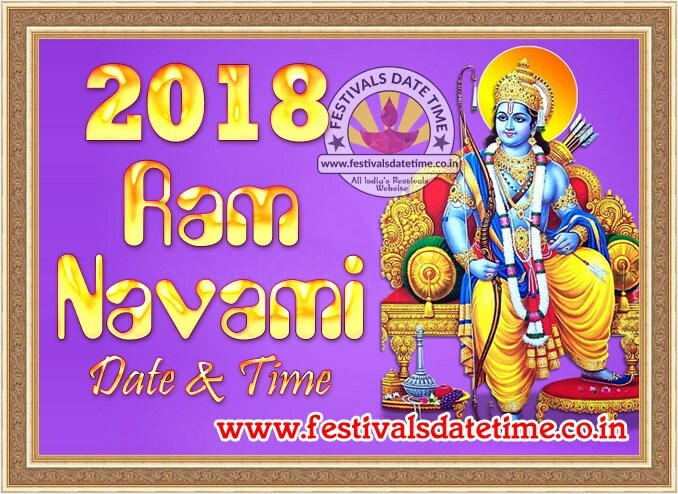 Rama Navami 2018 festival date and time in India. 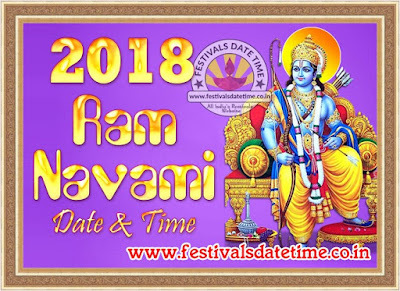 राम नवमी 2018 तारीख व समय, রাম নবমী ২০১৮ তারিখ এবং সময়। In India all are celebrated Rama Navami. About Rama Navami : Rama Nawami is a Hindu festival, celebrating the birth of the god Rama to King Dasharatha and Queen Kausalya in Ayodhya. Rama, the seventh avatar of Vishnu, is one of the oldest avatars of Lord Vishnu having a human form. The holy day falls in the Shukla Paksha on the Navami, the ninth day of the month of Chaitra in the Hindu calendar. Thus it is also known as Chaitra Masa Suklapaksha Navami, and marks the end of the nine-day Chaitra-Navaratri (Vasanta Navaratri) celebrations. Rama navami is one of the most important Hindu festivals.